Police seized 112 grams of weed and $4,661 in cash from University of Alabama tight end Kurt Freitag's dorm room, according to a complaint filed Monday. Last Tuesday, agents from the West Alabama Narcotics Task Force observed Freitag making a "drug transaction" outside of his dorm. They followed him back to his room and read him his Miranda rights, and then the idiot gave the cops permission to search the room, where they found the previously mentioned money and weed. 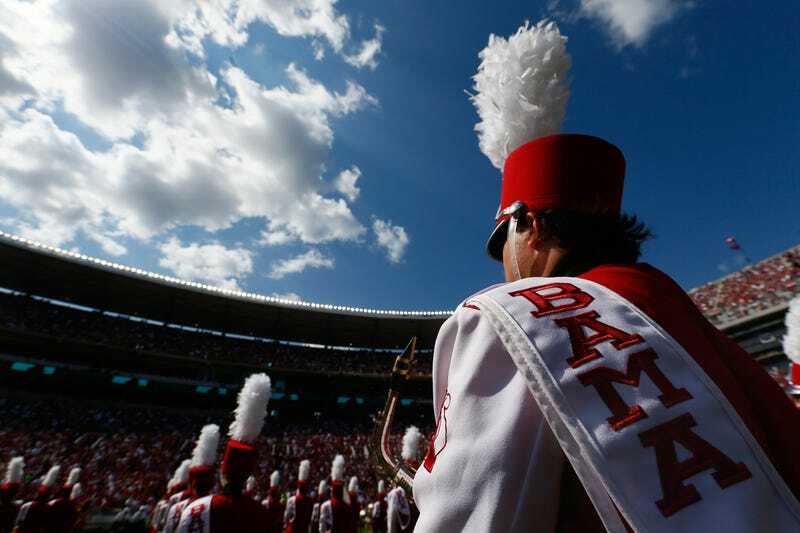 A University of Alabama spokesperson told AL.com only that the University would look into the incident. That the money seized was furnished or intended to be furnished by any person in exchange for a controlled substance in violation of any law of this State, or is traceable to such an exchange, or was used or intended to be used to facilitate any violation of any law of this State regarding controlled substances, and as such, is subject to condemnation and forfeiture by the State of Alabama, pursuant to Section 20-2-93 Alabama Code, 1975 (as amended 1990). Despite the criminal forfeiture complaint, it isn't clear whether Freitag was actually arrested or not. It would be somewhat surprising if he were not considering that Alabama has some of the strictest marijuana laws in the nation—the sale of any amount of marijuana is a felony with a mandatory minimum sentence of two years—but AL.com was not able to find an arrest in the court records, and both the West Alabama Narcotics Task Force and the Tuscaloosa Police Department declined to comment.